Testing out a new product on myself and damn, that reading was a little too accurate. I believe next month’s special will most def be the #chakra #oraclecard reading. Find out which chakra needs the most attention, what’s out of balance and what you can do about it! It’s a $20 3 card reading (extra card in this pic was a jumper). Book your reading before March 1st and you can get it for $15. 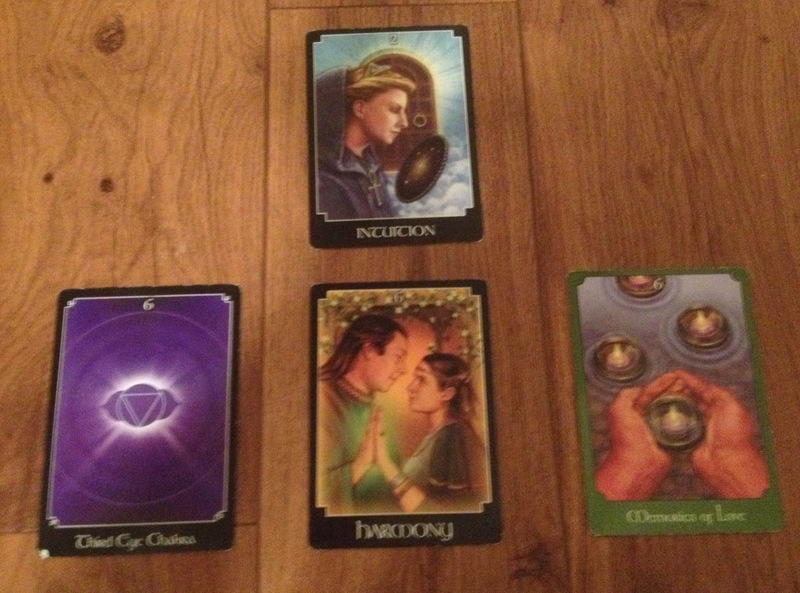 Go to book a reading in the menu to get yours! This entry was posted in Astrology, mysticism, numerology, occult, self help, spirituality, Tarot, Uncategorized, witchy, Writing and tagged astrology, chakra, chakra reading, divination, inspirational, motivational, numerology, occult, pagan, sale, self empowerment, self help, tarot, tarot reading, witchy. Bookmark the permalink.